As we know that Spice mobiles is now partner with Coolpad as a result of this Spice has launched Spice Mi 510 Stellar Prime . There is not much difference between the Coolpad Mi 515 & Stellar Prime 510 . Mobile manufacturer are following Micromax since the time when they had launched Micromax A60 . Micromax is going to launch Micromax canvas 4 on 8th of JULY . 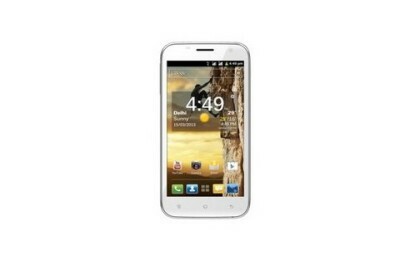 Spice stellar prime Mi 510 has DUAL SIM ( 3G + 3G ) capability . Android 4.2 jelly bean OS is there to make the hardware of the device run . To boos the performance of the device it is equipped with 1.2GHZ Quad core chipset integrated with 512MB ram . Most of the Quad core device are now equipped with 1GB of ram so 512MB can be disappointment for many . The device has in built memory of 4Gb , further it can be expandable via inserting micro sd-card upto 32GB . The 5inch capacitive dispaly of 854×480 p resolution is enough to see virtual into real eyes . The MI-510 has 3G , 2G , wifi , Bluetooth , micro USB port , 3.5mm audio jack & GPS connectivity options . At the back of the device there is 8MP rear AF camera with LED flash & 3.2MP front facing camera . 2100mAH battery is surely enough to power the Stellar Prime MI510 . Price of Spice Mi 510 is not confirmed yet . 1.2 GHZ 4core processor . 512MB RAM & 4GB ROM (internal memory ) . 8MP Primary AF camera & 3.2MP secondary camera . 3G , 2G , Wifi , Bluetooth , GPS & micro USB port . Spice Mi 515 coolpad .